The phone company BlackBerry announced last Wednesday its intentions to release the BlackBerry Classic, a new model of its long-running line of cell phones that will supposedly incorporate the best design aspects present in BlackBerrys of the past, while posing a significant upgrade from previous models. The continued existence of BlackBerry shows, in many ways, just how well a niche can be targeted with modern technology—and how the connotation around a product can alter its user base. Despite increasingly niche appeal, BlackBerry is one of the longest running cell phone brands, its release in 1999 making it one of the major precursors to modern smartphones. BlackBerry today, however, fills a strange niche. It doesn’t have the universal appeal of an iPhone or android device—it lacks the popular appeal of apps and accessible design. In many ways, BlackBerry is made as a tool where the iPhone is made as a toy—the phone is not made for amusement so much as it is for functionality. It’s interesting to see what niche BlackBerry has found itself in. It’s clear from reading BlackBerry marketing material exactly who they are trying to appeal to—businesspeople. John Chen, executive chairman and CEO of BlackBerry, even said outright that the phone was made to “respond to the demands of business from anywhere, at any time.” BlackBerry’s ultimate purpose is functionality—handling documents, writing emails, making phone calls. Even since its inception, BlackBerry has been in one niche or another. BlackBerry has had continuous appeal since its conception to politicians. If you pay attention to the phones that politicians use, an unusual number turn out to be BlackBerrys—President Obama is known for his long-term devotion to the phone model. There are many reasons for why this may be. Firstly, BlackBerry stresses the importance of security—Apple, to the contrary, has much looser security, a fact that has led to many breaches. Secondly, a BlackBerry has a much different image from an iPhone—perhaps a more professional one. iPhones are often thought of as a time-waster, used for games like Candy Crush, with functionality as a serious business device certainly not a first priority—a connotation not present for BlackBerrys. We can see just how much they are appealing to the business market by comparing the respective press releases for the BlackBerry Classic and the iPhone 6. The official iPhone press release has a long description of the look of the phone, the camera, the retina display, and numerous key mentions of games and social media. However, the BlackBerry Press release focuses on managing phone calls, information, calendars, and productivity apps—all over, features that would probably not get iPhone users too excited. 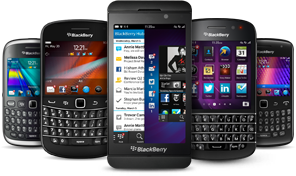 What BlackBerry proves is that niches are a viable opportunity in the tech world if done right. The fact that BlackBerry is still going after fifteen years shows that, oftentimes, devoting time to certain demographics of people can pay off. Perhaps BlackBerry will serve as inspiration for other companies to try ideas that they know lack mainstream appeal.